I don't know what it is about this pretty little dessert, but I enjoyed the process of making them so much that I thought I could be a full-time baker. 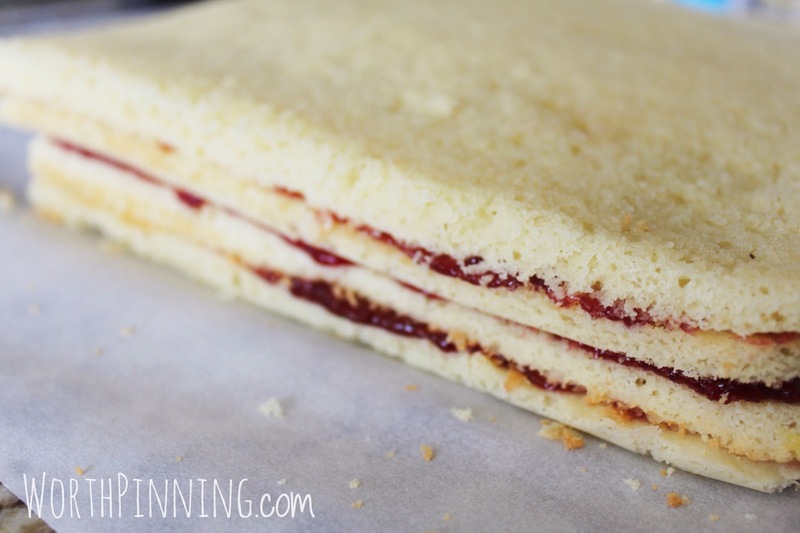 Four layers of delicious almond cake with raspberry filling between the layers and a thin layer of marzipan to top it off- it is divine. If you are a fellow almond lover, you must make this beautiful dessert. A petit four is a small confectionery or appetizer. 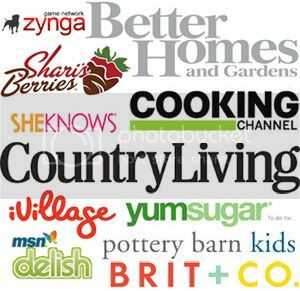 It is not exclusively coated mini cakes. Petit fours include small tartlets and eclairs. Traditionally, petit fours ("small oven") were baked in a small oven next the main oven. We'll start there. 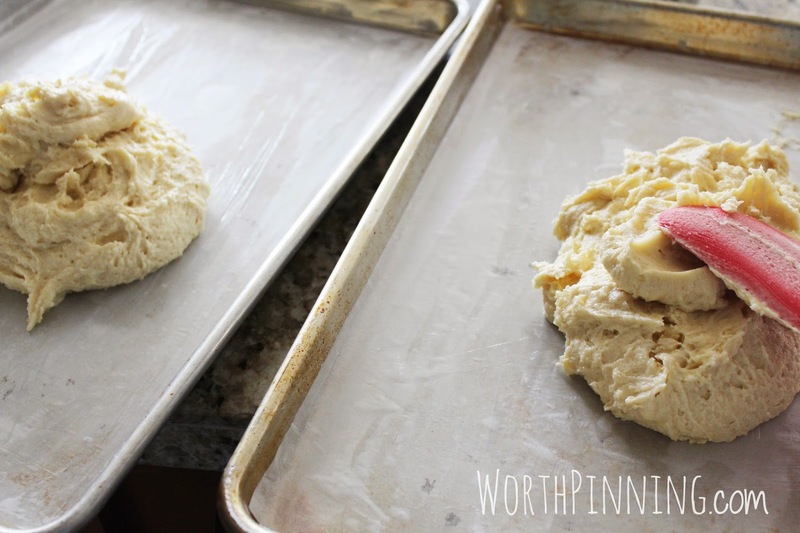 Preheat the oven to 375F. Cream 1# of almond paste (2 cans). 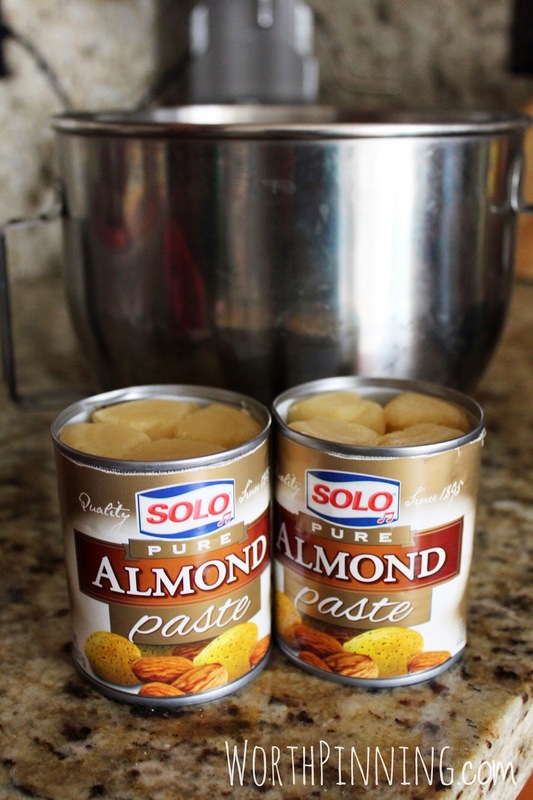 Almond paste is made with finely ground blanched almonds and sugar. 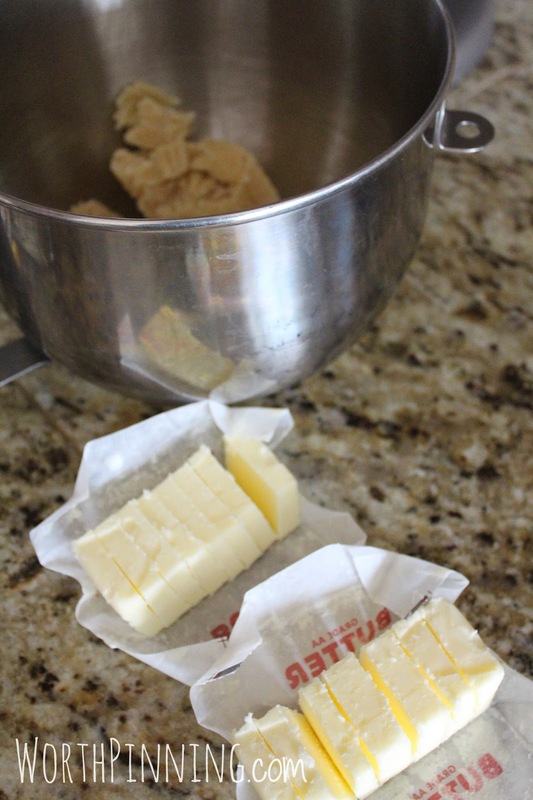 Add 2 sticks of butter, quartered and continue to cream. 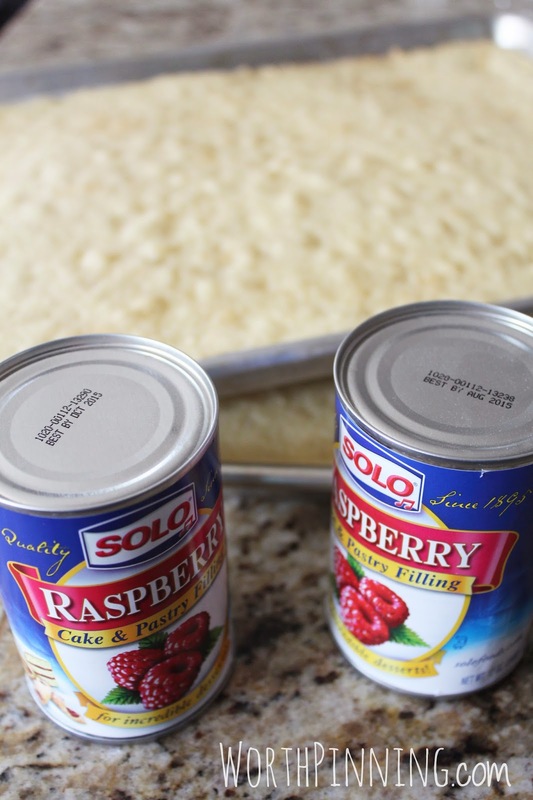 Add 1 cup of sugar, 6 eggs, 1 teaspoon vanilla & a pinch of salt. 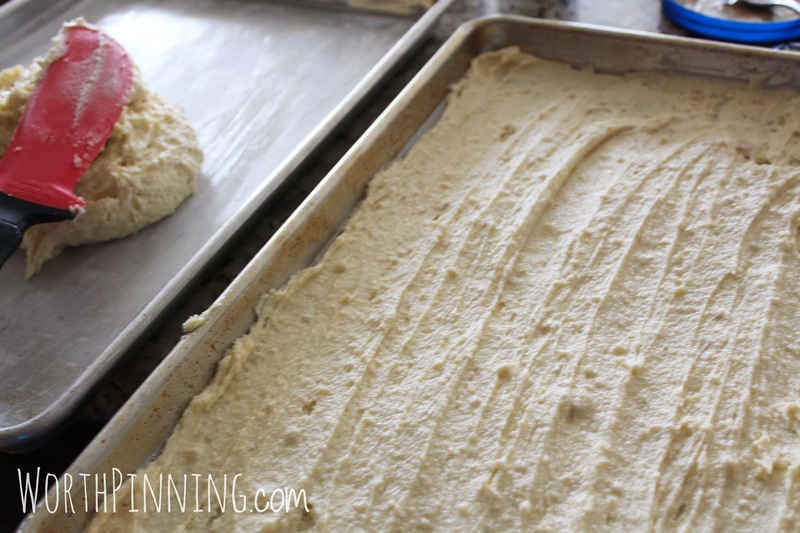 Add 1 1/4 cup of flour (high altitude adjustment). Recipe adapted. 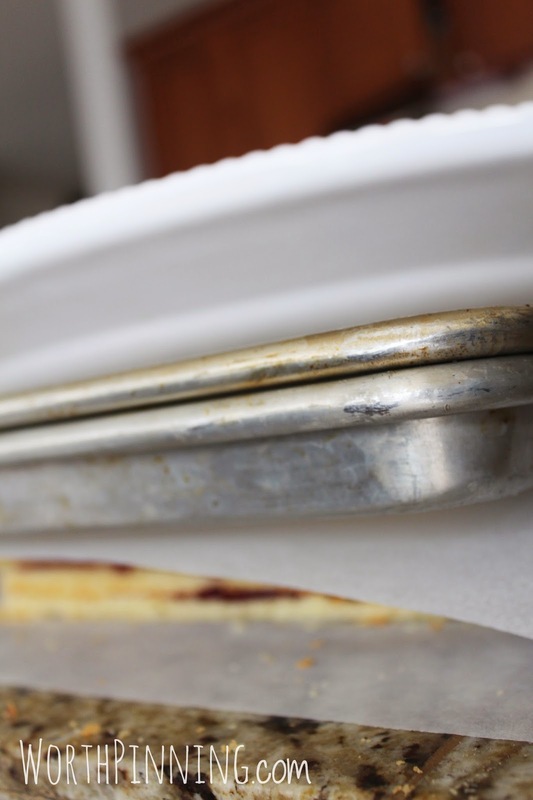 Divide the batter between two greased pans with a layer of greased parchment paper. 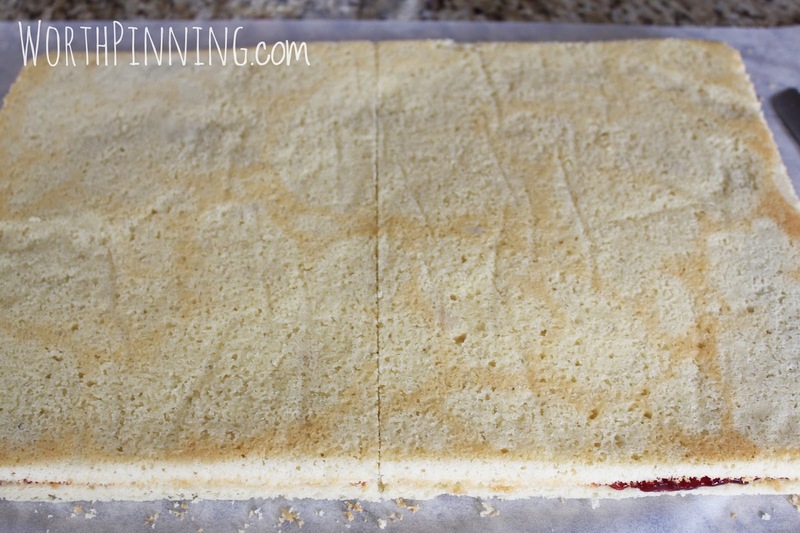 Bake for approximately 17 minutes- just as the cake edge peels away from the pan. 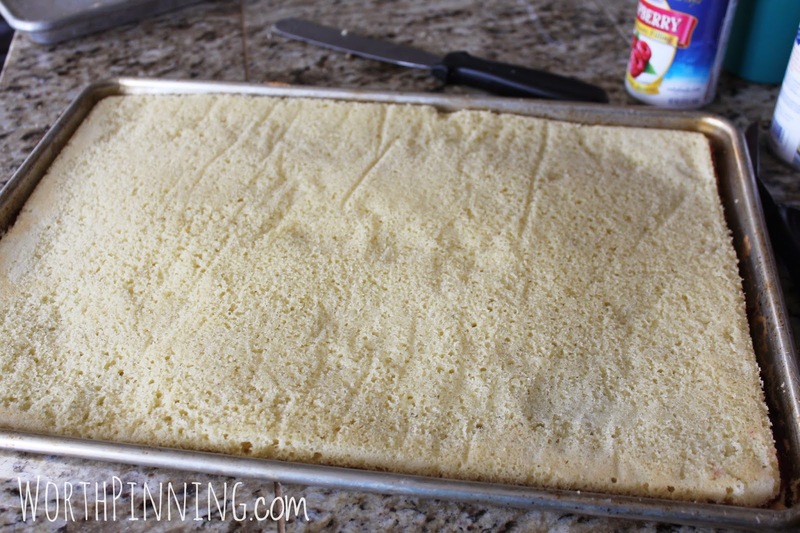 Cut around the edges of the pan. 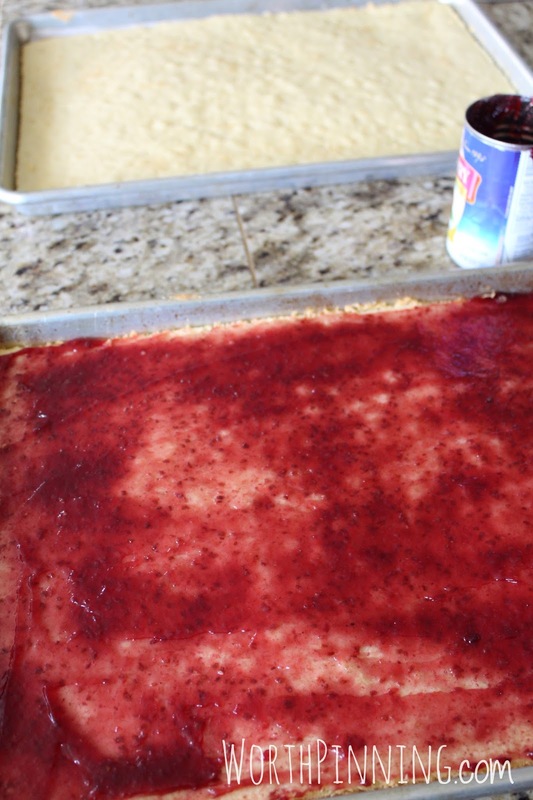 For the filling, I used the same brand as the almond paste for the raspberry filling. 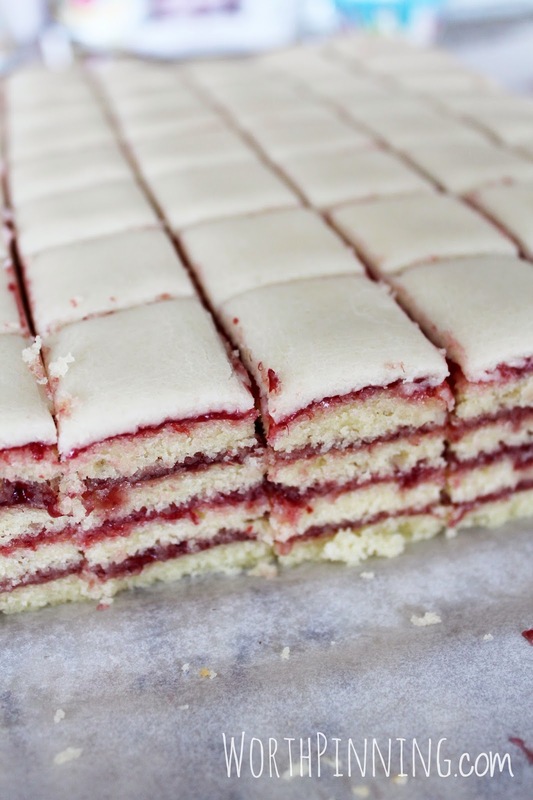 Spread a thin layer of raspberry filling on the top of one cake. 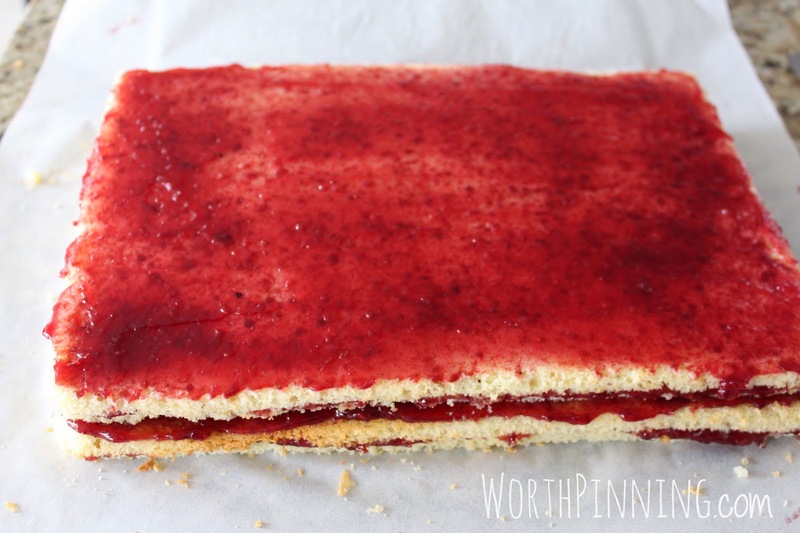 Flip the other cake on top of the cake with raspberry filling and tap to release the cake. This the bottom side of the 2nd cake. 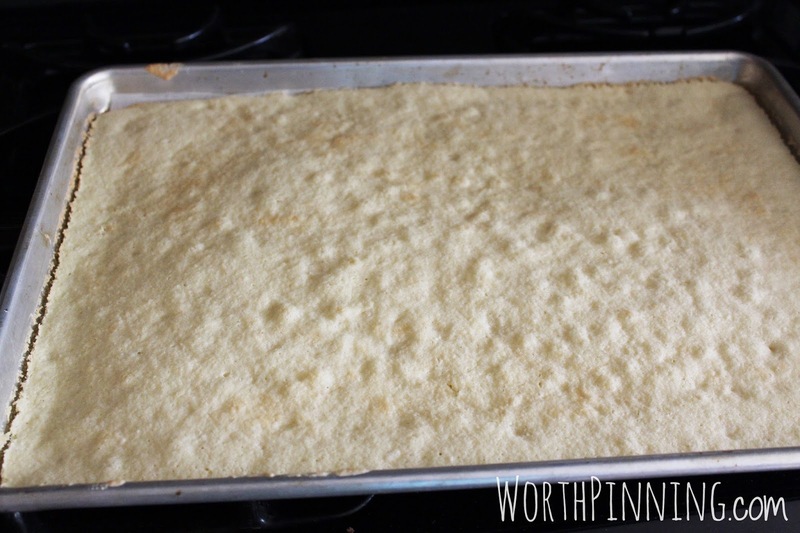 The parchment paper is on the top of both cakes. 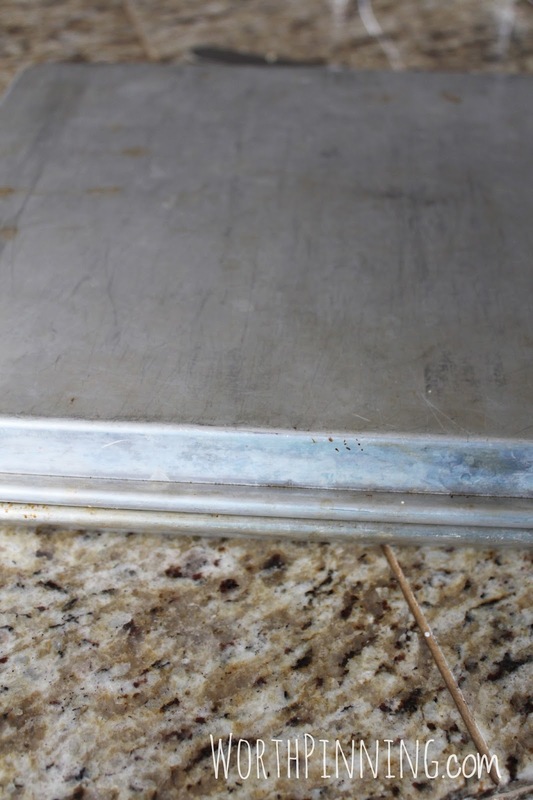 You still have parchment below the bottom layer. 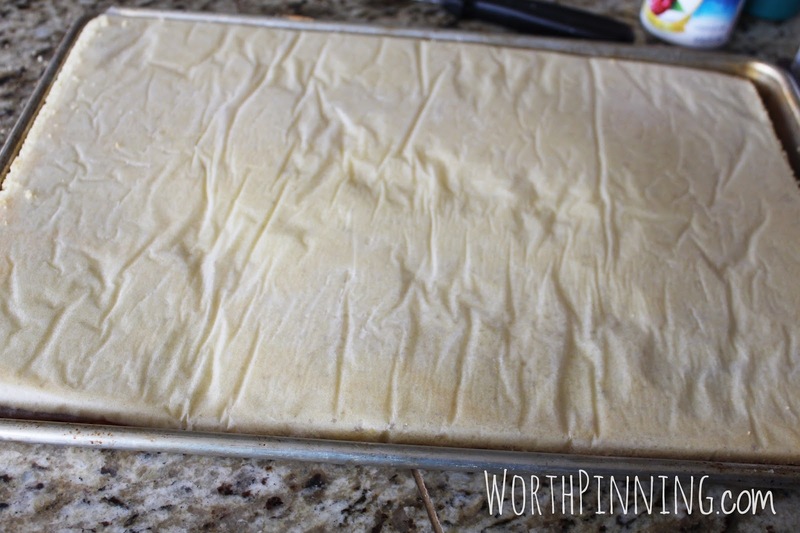 Parchment Paper removed. 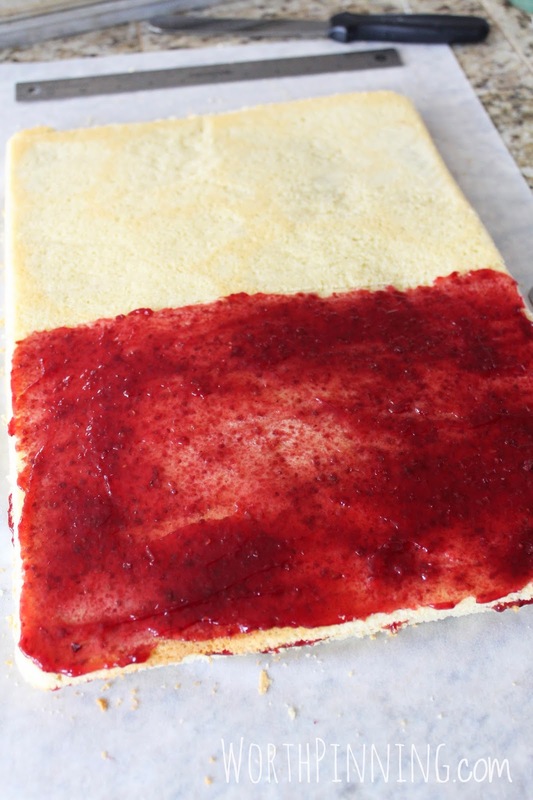 Flip both cakes on top of a piece of parchment paper (removing from the baking pan) and peel off the remaining piece of parchment. 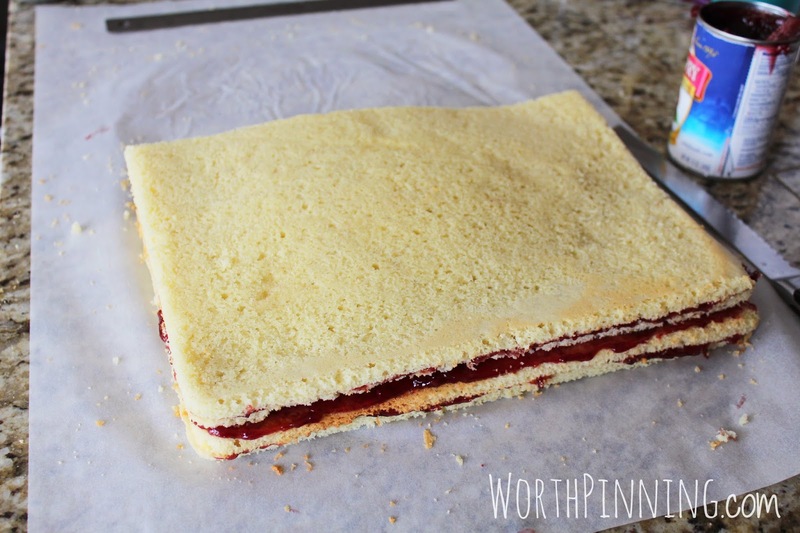 Place parchment on the top of the cake and press the layers with heavy baking pans. I used both baking pans and heavy platter. 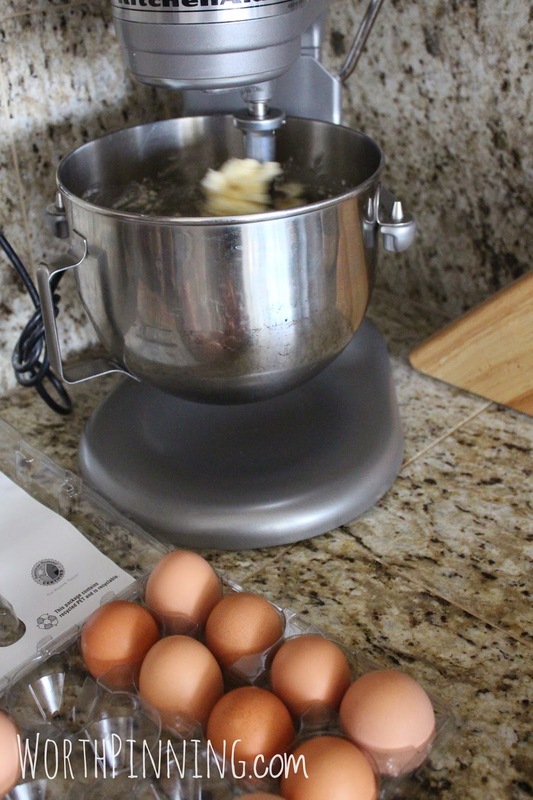 Let the cakes rest under the weight up to a few hours. I made the marzipan and dipped chocolate covered strawberries while the layers condensed under the weight for about an hour. 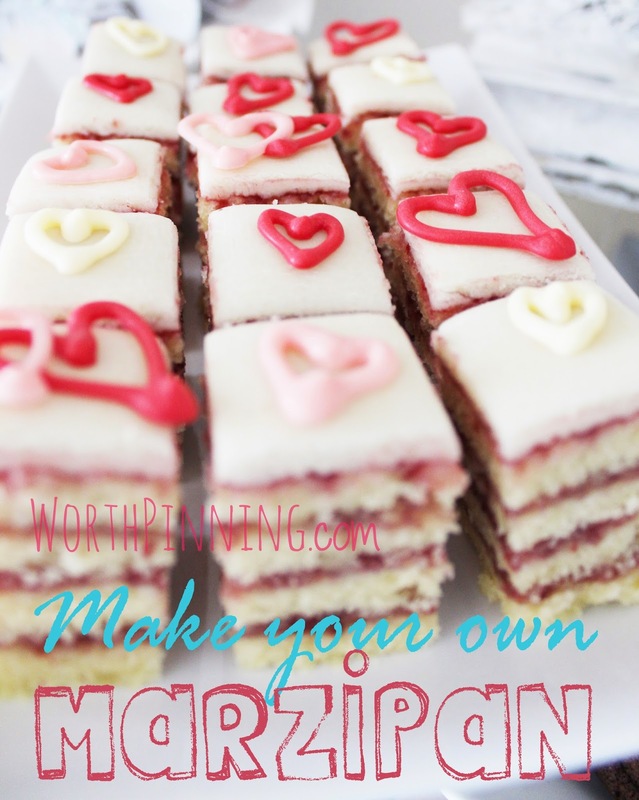 Remove the weight and add another thin layer of raspberry filling to secure the thin layer of marzipan. Stay with me. All of the steps are worth the effort to get to the end result. 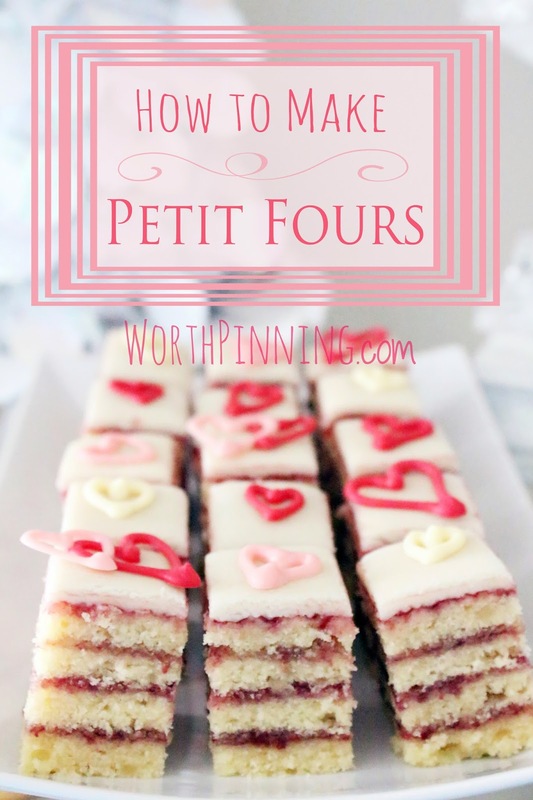 To see the rest of the mini desserts served with the petit fours, you can click here. Totally in love with this. I always wondered how it was done. I thought the layers were cut. This way makes more sense.